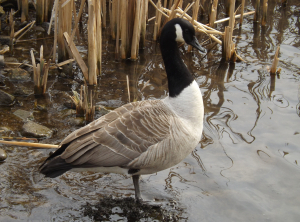 Observation - Canada Goose - UK and Ireland. Description: One of a pair seen in the Cardiff Wetland Centre, during a Gwyl Taf nature walk. One of a pair seen in the Cardiff Wetland Centre, during a Gwyl Taf nature walk.